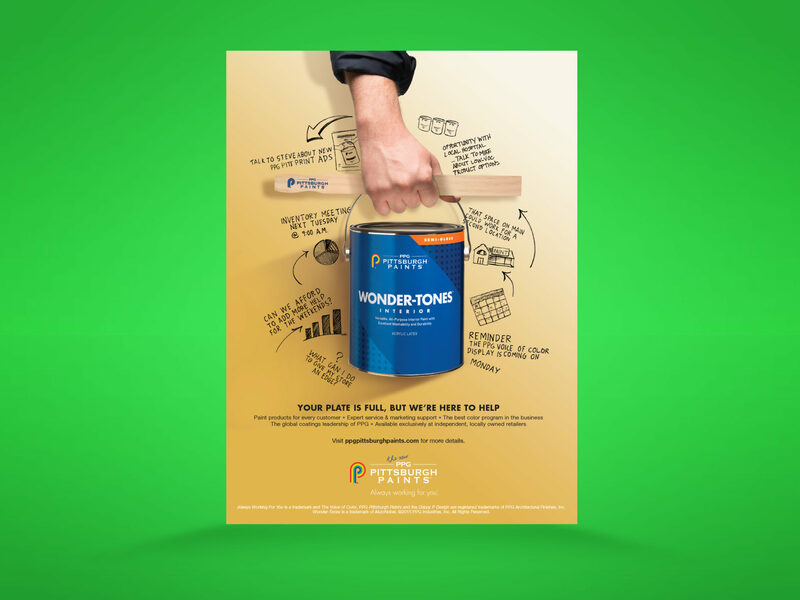 PPG PITTSBURGH PAINTS is hardworking brand with hardworking customers that are loyal to their local paint dealers. 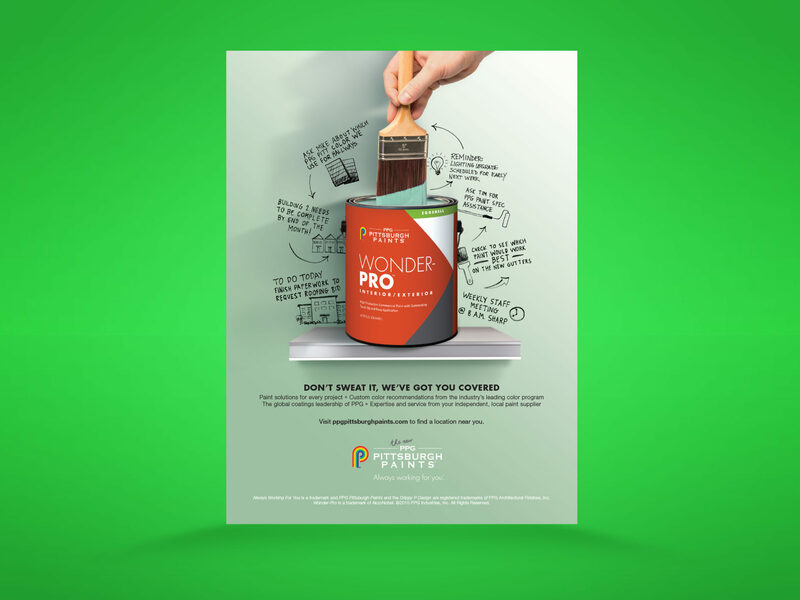 Since the average paint contractor doesn't really exist and is actually divided into many different subsets of professions. 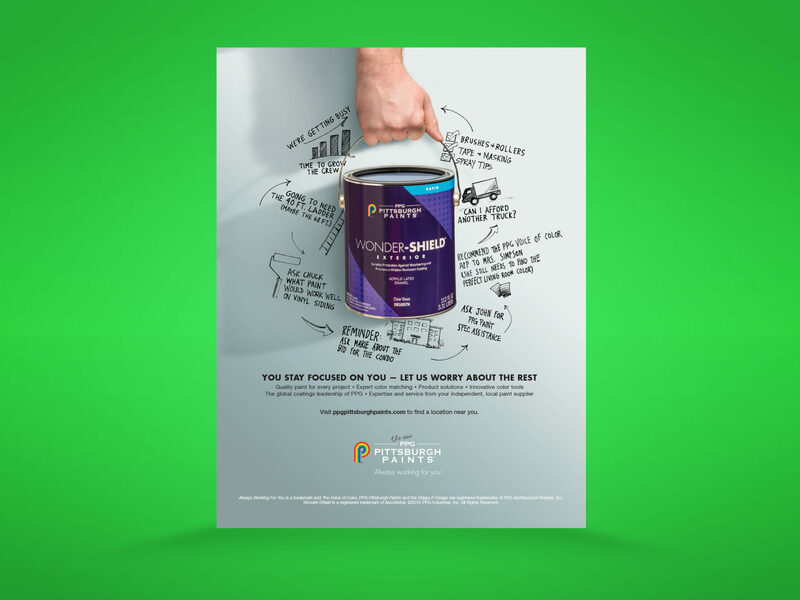 I created a campaign that had the hardworking, yet high end, feel of the paint brand. 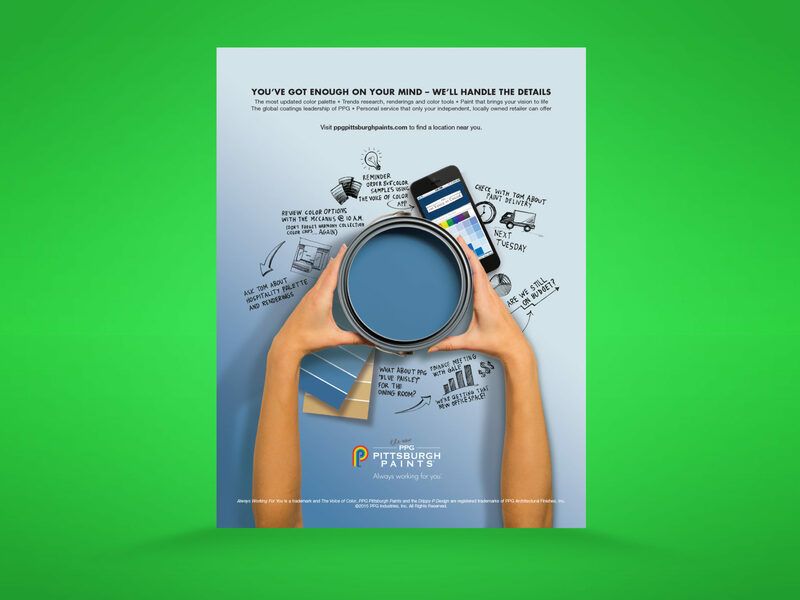 It also included audience specific messaging written in a relatable and down to earth handwriting, similar to a contractors notebook.